The chairperson says the company is in good hands, with executives wanting nothing but to serve the entity. Eskom board chairperson Jabu Mabuza, who is also an independent non-executive director at Telkom, told the commission of inquiry into state capture on Friday that a “committed, diligent, and dedicated” board of the telecommunications state-owned enterprise (SOE) played a role in ensuring the entity did not fall prey to alleged state capture. The commission’s evidence leader, advocate Vincent Maleka, asked Mabuza if he was aware of any public revelations of Telkom being subjected to state capture, to which Mabuza responded by saying he was not aware of any. “In 2012, a new board was reconstituted at Telkom, I was asked to chair that board, I also [had] the privilege to assemble that board. In March 2013, after a process of searching for the CEO, we appointed Sipho Maseko – a person I have known much before,” Mabuza told the commission. Mabuza said Telkom faced several issues at the time, including contractual issues in Nigeria, various issues with the competition commission, as well as issues with the entity’s major shareholder. Mabuza added that Telkom’s “mobile business was bleeding” hundreds of millions of rands monthly at the time and that its finances were in a dire state with the government considering to sell its stake in the company. He estimated that the SOE’s share price at the time was R11. However, since the board was “reconstituted in 2012″, the business has turned around, with the share price at around R63, Mabuza told the commission. “The company is in very good hands,” Mabuza said. He said Telkom’s board members were committed, diligent, dedicated and “wanted to do nothing but to serve the company”. Mabuza added that the board was robust in holding Telkom’s executive to account while giving it space to carry out its duties. “We never second-guessed our chief executive,” Mabuza said. 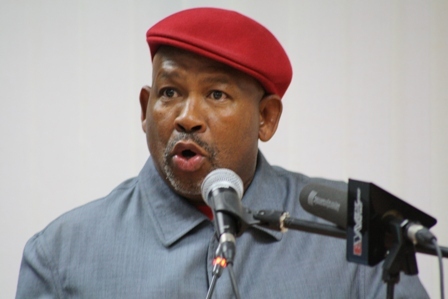 Telkom’s shareholding profile, Mabuza said, saw government own just below 40%, the public investment corporation at 13%, “and the rest is publicly invested through free-floating shares”.